In July 1905, the Harding School District was organized formally in Harding in what is now the Rural Municipality of Wallace-Woodworth and, for a time the former Rowan School building (which had been moved to Harding) was used for classes. The following year, a one-storey brick veneer schoolhouse was constructed on a design by architect Thomas Sinclair. In 1919, it was consolidated with Rowan School No. 143 to form Harding Consolidated School No. 1352. 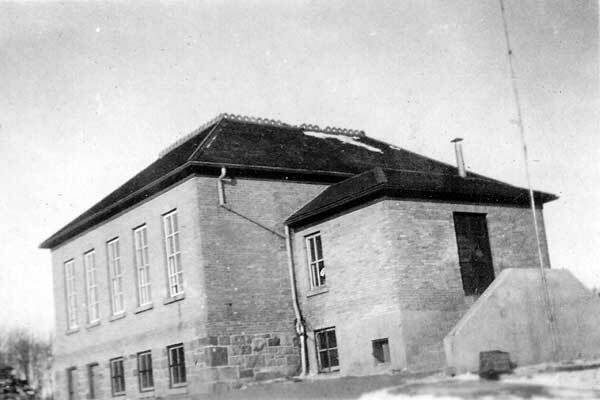 The second Rowan School building was moved next to the brick schoolhouse and, as the “White School,” was used for classes in grades 5 to 8, while the basement of the brick school (which had previously been a second classroom) was used as a playroom during inclement weather. Harding School closed in June 1968. 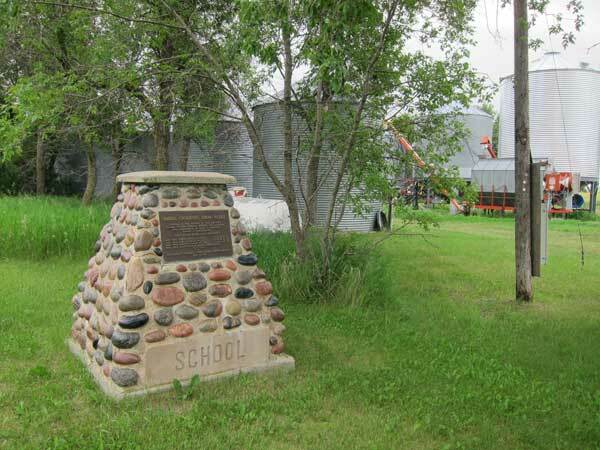 The former school building is no longer present at the site, but a monument dedicated on 12 July 1981 during a school reunion commemorates it. Horace Myers, Mr. Essery (1914), Mr. French (1915), Irving Herkes (1916-1918), Mr. Kitchen (1919), Miss Sarah Tufts, Miss Gertrude Reid, Miss Ede Sullivan, Miss Hutchinson, Miss I. Miller, Miss Mollie Taylor, Miss McLaren, Miss Doris Warren (1938), Lillian Hatch (1945), Mr. Riddle, Mrs. Leonard (1967-1968), Mrs. Helen McGregor (1967-1968). GR8461, A0233, C131-2, page 103.